Let’s start with an introduction: Who is Christopher Fowler? 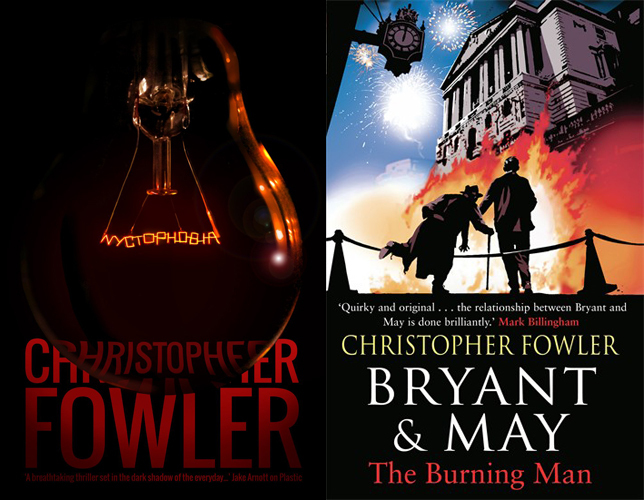 If you want the official version, Christopher Fowler is the award-winning author of over 40 novels and short story collections, including the Bryant & May mysteries, recording the adventures of two Golden Age detectives in modern-day London. His most recent books were the haunted house thriller Nyctophobia and The Burning Man. 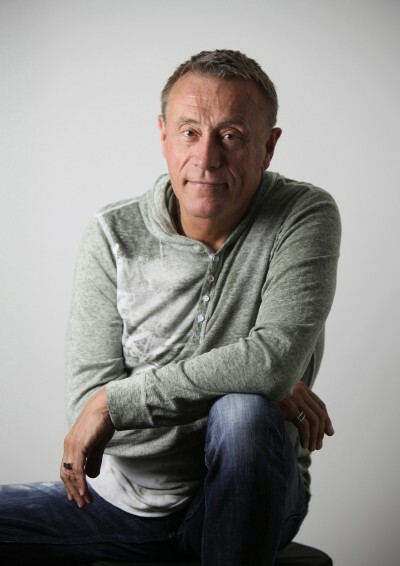 Other work includes screenplays, videogames, graphic novels and audio plays. He won the CWA Dagger In The Library this year for outstanding work and has a weekly column in The Independent On Sunday. He lives in King’s Cross, London and Barcelona and daily updates his fairly unusual blog. Your latest novel, The Sand Men, is published by Solaris. I finished it recently, and enjoyed it. How would you introduce it to a potential reader? I like thrillers that ask awkward questions about our world. It’s about what happens when old and new cultures clash, in this case, Dubai’s fast-forward rush into the future, and the damage it inflicts on people. In this case I visited Dubai and was fascinated by its paradoxes. Also, I’m a massive fan of J.G. Ballard, and felt that this would have been something he’d have written about had he lived longer. I love traveling, and the places and the people I meet breed new ideas for books. As a broke kid through secondhand bookshops and places like London’s Forbidden Planet. It’s all I’ve ever done since I was 12, writing to newspapers for pocket money. It’s all I know. I love it but I wish they’d let novelists write screenplays more than they do. I write full time and treat it like any other job, except I tend to work through weekends as well, and always carry a laptop with me. I’m always researching either by reading or talking to people. I knew I wanted to write at seven. 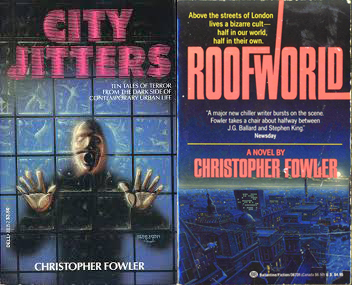 My earliest books like City Jitters and Roofworld look very naïve to me now, but I guess there’s a freshness to them. Each new project is an adventure. I grew up in more experimental times. Things are too straight-laced for me today, neatly fitting into categories. I fall between the crakcs in what is sometimes termed ‘edge fiction’. I’m working on a big fantasy, three crime novels and a thriller, plus a creepy play which I’m writing with Kim Newman. Plus, 20 of my backlist titles are coming out as e-books with new matching covers. Paul McAuley, some Golden Age detective fiction, rereading Ray Bradbury and trying not to break my fifth Kindle! I once stood in for James Bond, released a Christmas single and featured as the villain in a DC Batman comic. After producing four books in a row, a vacation far far away! 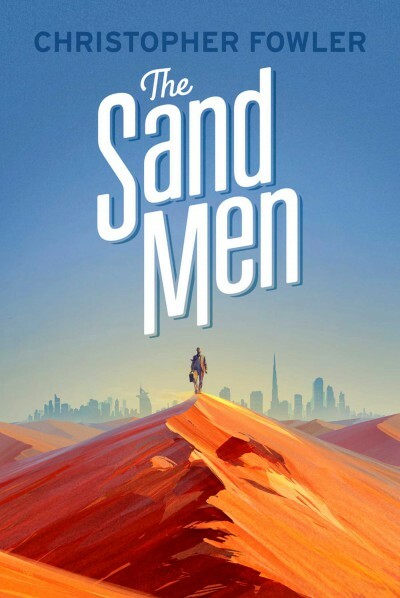 Christopher Fowler’s The Sand Men is out now in the UK and US, published by Solaris Books. You can read my review here. For more on Christopher Fowlers writing and novels, be sure to check out his website, and follow him on Twitter and Goodreads.